The National M.Sc Medical Teachers Association (NMMTA) conducted a symposium titled Role of Biomedical Scientists in New India at YWCA Delhi. The symposium holds significance as the members of this association, who are biomedical scientists with medical M.Sc postgraduate degree in the non-clinical subjects, feel that the government is neglecting them. If was held in the backdrop of MCIs proposal to reduce and eliminate the appointment of biomedical scientists as non-medical teachers. We are a part of the healthcare, medical education and research since several decades but our roles arent duly recognized, said Dr. Sridhar Rao, President of NMMTA. India has a large pool of talent and manpower of biomedical scientists, which must be utilized by the government to address the deficiencies in healthcare, medical education and research, he added. There are lakhs of diagnostic laboratories across the country but not sufficient specialized doctors to practice there. The ministry of Health and Family Welfare must amend the guidelines of Clinical Establishment Act to utilize the services of biomedical scientists to counter this shortage, said Arjun Maitra, Secretary of NMMTA. Inaugurating the symposium, Sudhansh Pant, Joint Secretary (medical education), MoHFW stated unfortunately, when one talks of medical education, the role of M.Sc teachers somehow gets relegated to the background a little bit. The role of M.Sc teachers is crucial. Whatever best possible can be done for this segment within the overall framework of rules and regulations will definitely be looked into with full responsibility. Dr. S.Rajesh, director-health, NITI Aayog, who was the guest of honor stressed the importance of biomedical scientists in the development of diagnostic kits. Dr. Heena Tabassum, representing the ICMR highlighted the various research opportunities and financial grants sponsored by the ICMR. Dr. Daman Saluja, Director of B.R Ambedkar Institute of Biomedical Sciences described the different fields of biomedical research and its impact on healthcare and public health. Dr. Jayashri Sengupta, former Professor & HOD, AIIMS Delhi highlighted the role of Basic Sciences to evolve the Indian medical students into a thinking doctor. Governor Smt. Anandiben Patel said at the Yoga programme organised at Raj Bhavan on International Yoga Day today that performinig Yoga with faith and positive thinking is very beneficial. It should be done seriously and on a regular basis in life. Yoga Guru Rajiv Jain Trilok conducted Yoga kriyas prepared by the AYUSH Ministry, Government of India during the programme. 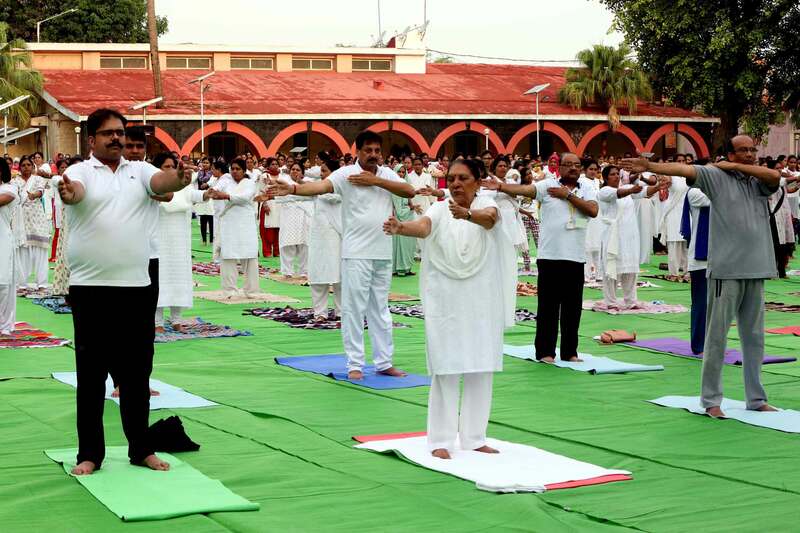 About 700 men and women took part in the Yogabhyas programme. Smt. Patel said that Yoga is one of the countrys ancient heritage. The responsibility of promotion and conservation of this system rests with all sections of the society. She said that Yoga purifies our soul. Due to the persistent efforts of Prime Minister Shri Narendra Modi, the countrys ancient Yoga system has acquired prestige, honour and popularity in the form of International Day. 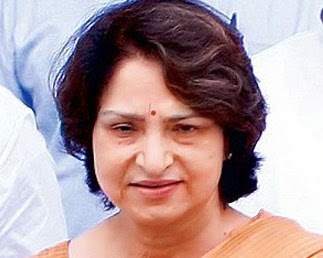 She said that Lord Krishna said in Gita that Yoga brings proficiency in Karmas. The Yoga Kendra set up in Raj Bhavan from May 1 will now function regularly. Prime Minister Shri Modis message telecast on International Yoga Day was transmitted during the programme. Employees trained in the Yoga Kendra at Raj Bhavan shared their experiences at the programme. Chief Minister Shri Shivraj Singh Chouhan said that Yoga is a remarkable scientific system. Yoga connects Atma to Parmatma. It is an effective medium to stay healthy. Yoga keeps the heart joyous, intellect sharp and body healthy. 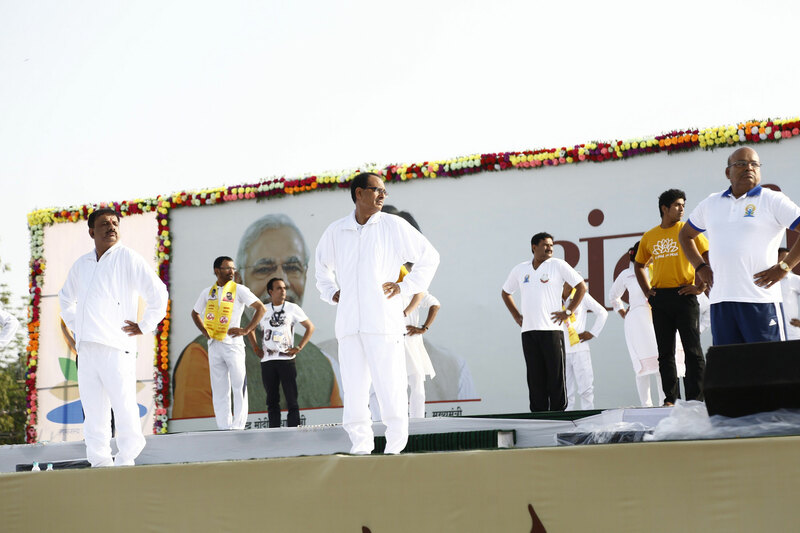 Shri Chouhan was addressing the state level Yogabhyas Programme held at the Lal Parade Ground here today on the occasion of International Yoga Day. Union Minister for Social Justice and Empowerment Shri Thawarchand Gehlot presided over the programme. Director of Yoga Institute, Mumbai Yoga Guru Smt. 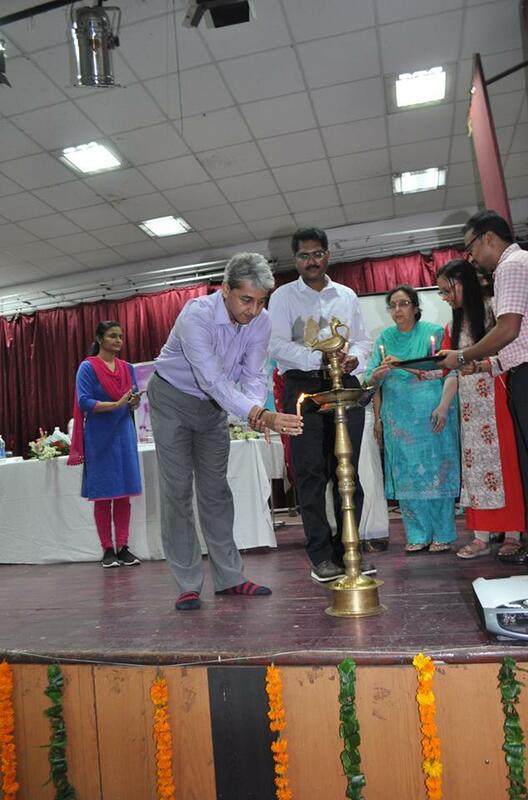 Hansa Jaidev Yogendra was the chief guest on the occasion. Among those present on the occasion were Mayor Shri Alok Sharma, Chairman Municipal Corporation Shri Surjeet Singh Chouhan, Chairman Bhopal Development Authority Shri Om Yadav, Chief Secretary Shri B.P Singh and Director General of Police Shri R.K. Shukla. Officers, Yoga lovers and school children in a large number attended the state level programme. 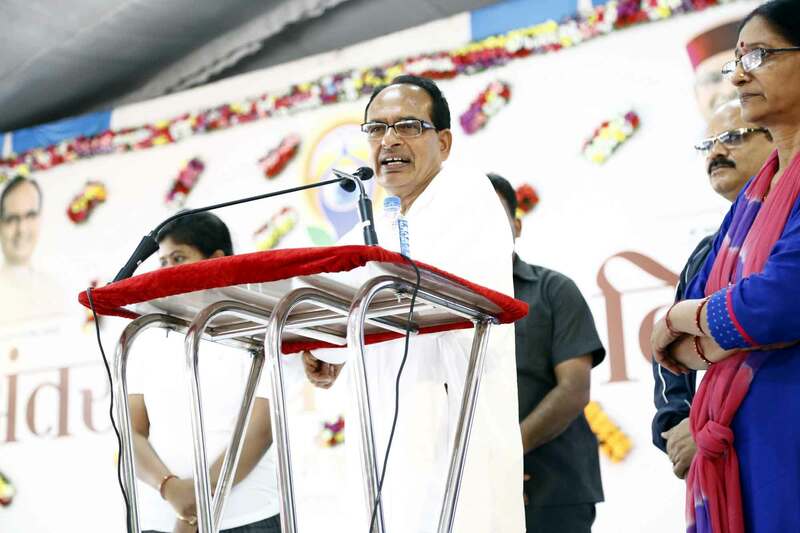 CM Shri Chouhan said that Yoga should be practised regularly. 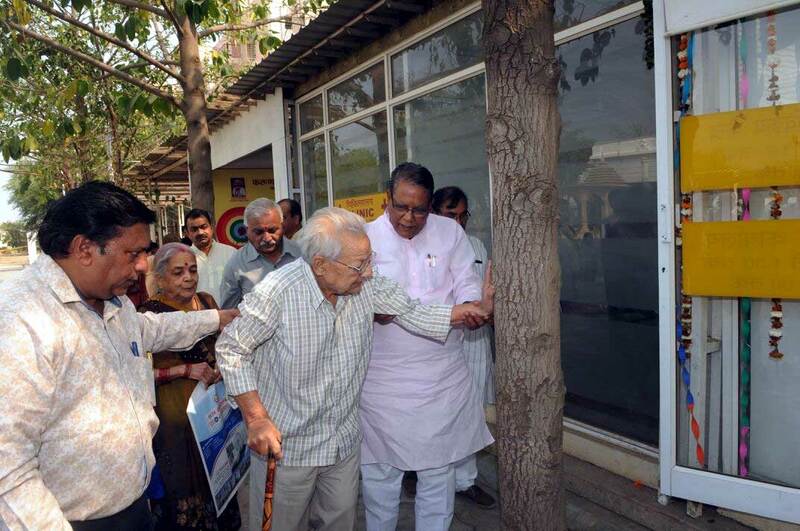 Referring to an accident that he met with in year 1998, Shri Chouhan said that at a point of time, I thought it would never be possible for me to walk. But miraculously with regular Yoga practise, today I am able to work for 18 hours a day daily. Establishing the importance of Yoga Shri Chouhan said that one must practise Yoga and inspire others also. With regular practise of Yoga one can stay healthy. It also reduces the expense on medicines and fills life with renewed energy and joy. 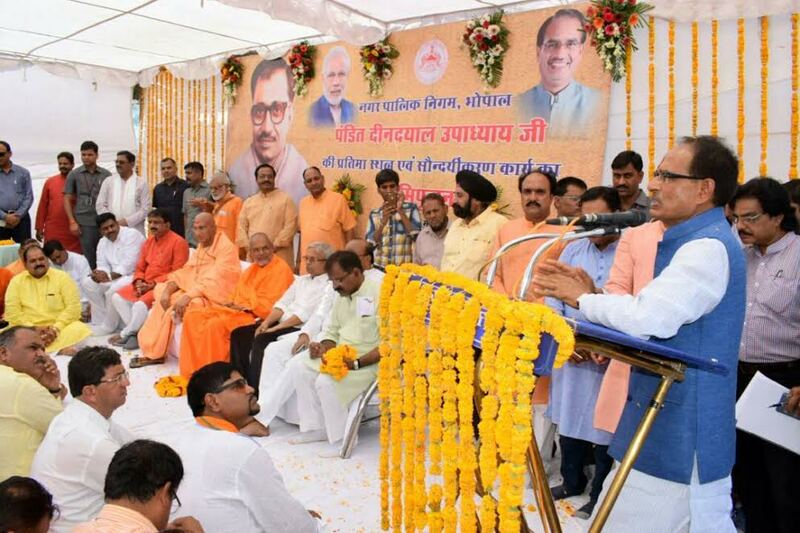 Shri Chouhan said that the history of Yoga dates back to thousands of years. Our saints and seers have developed the Yoga-Vidha to live life after several years of hard penance and medidation. India has given the message of Yoga, world fraternity, welfare and harmony to the world. Referring to the contribution of Swami Baba Ramdev in the globalisation of Yoga, he said that the worlds most popular leader Prime Minister Shri Narendra Modi has established Yoga in the world. Union Minister for Social Justice and Empowerment Shri Thawarchand Gehlot said that Yoga is most essential for physical, mental and intellectual health. Due to the efforts of Prime Minister Shri Narendra Modi the United States of America is celebrating International Yoga Day. Today Yoga is being practised in several countries in the world. He stressed on the need for support of all sections in publicising the importance of Yoga. The Yogabhyas started with the Omkar sound. The kriyas practised in the programme included Yogasana, Kapalbhati, Pranayam, and Dhyana. The Yogasanas included Tadasana, Vrikshasana, Padahastasana, Ardh Chakrasana, Trikonasana, Bhadrasana, Vajrasana, Ardha Ushtrasana, Ushtrasana, Shashankasana, Uttanamandukasana, Vakrasana, Makrasana, Bhujangasana, Shalabhasana, Setubandhasana, Uttanpadasana, Ardh Halasana, Pavanmuktasana, Shavasana, Adi Asana and Nadishodhan, Sheetali and Bhramari Pranayam. Direct telecast of Prime Minister Shri Narendra Modis address was shown at a programme organised in Dehradun on International Yoga Day at the beginning of the programme. The programme began with the national song Vande Mataram. Yogacharya Pandit Radheshyam Mishra conducted the Yogic Kriyas. Shri Kartik Das and Sushri Damini Dhalai conducted the programme. Chief Minister Shri Shivraj Singh Chouhan said that Yoga makes life meaningful. He was addressing school children during the fourth International Yoga Day programme organised at the CM House. The programme was organised under the aegis of School Education Department by the state level Yoga Training Centre. CM Shri Chouhan told the children to practise Yoga daily for half an hour. Regular practise of Yoga can be very beneficial. Make Yogasana, Pranayam an integral part of your life. He said that Yoga strengthens the body, keeps the mind joyous and intellect sharp. He told students to study hard and score good marks. State government will pay the fees for higher education. Over 500 students from different schools of Bhopal took part in the Yoga practise session. Students practised Yogasana and Pranayam. Did you know smokeless tobacco is a major cause of heart disease? New Delhi, . We are celebarating today as World No Tobacco Day, but it is irony that coming 24 hours, 2,739 people will lose their lives due to cancer caused by use of tobacco and other tobacco products. General perception about smokeless or chewing tobacco is that it is safer than cigarettes and bidis, as it does not cause heart disease, but according to experts, tobacco consumed in any form is injurious to health. Using tobacco whether in form of smoking or chewing causes cancer, heart diseases and other severe ailments. Tobacco use is classified as disease under International classification of diseases (ICD-10). This is because the quit rates are very low only about 3% in India. With such a low probability of quitting and such a high probability of tobacco use leading to a multitude of diseases, the prevalence of tobacco has been rightly termed as the Tobacco Epidemic. 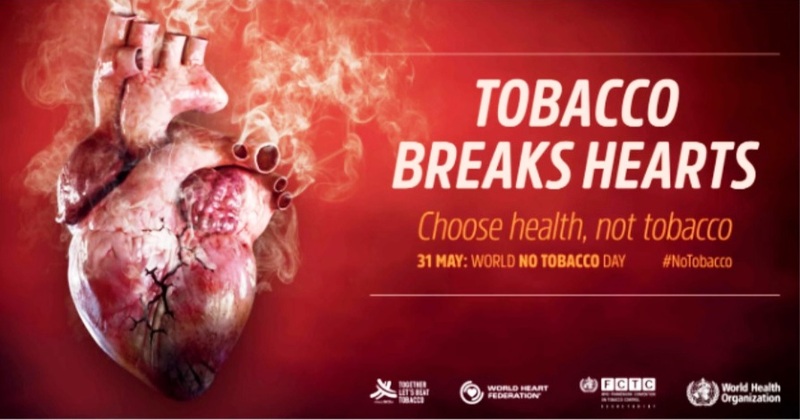 World No Tobacco Day (WNTD) is on May 31 and this year the theme is Tobacco and Heart Disease. The World Health Organisation (WHO) and partners will make people aware about the link between tobacco and cardiovascular diseases, including stroke, which combined are the worlds leading cause of death. Patron of the Voice of Tobacco Victims (VOTV) and Professor and Head of CardiotThoracic and Vascular Surgery, Dr. Shiv Chaudhary from All India Institute of Medical Sciences (AIIMS) Delhi said, tobacco is the singlemost known and preventable cause of cardio-vascular death and disability in the world. Chemicals like nicotine are constrictive in nature leading to coronary problems. It is commonly known that smoking increases the risk of heart disease but the fact is that smokeless forms of tobacco are equally harmful. As per Global Adult Tobacco Survey (GATS-2) 2016-17, in India consumption of smokeless tobacco is far more than smoked tobacco. The data shows that 42.4% of men, 14.2% of women and 28.6% of all adults currently either smoke and or use smokeless tobacco. As per data, 19% of men, 2% of women and 10.7% of all adult currently smoke tobacco, while 29.6% of men, 12.8% of women and 21.4% of all adults currently use smokeless tobacco. Smokeless tobacco users at 19.9 crores are far more than 10 crore smokers, whether cigarettes or bidis. Dr Pankaj Chaturvedi, Professor Surgical Oncology from Tata Memorial Hospital, Mumbai said tobacco consumption, in any form, does not spare any of the body part from its harmful effects. Even smokeless tobacco causes similar ill effects in direct or indirect forms. Apart from causing direct damage to the vessels of our body, it causes significantly increased mortality after the heart attack, in people consuming smokeless tobacco. The health expenditure of the government as well as society is manifold more than the revenue and employment generated by all forms of tobacco. Sanjay Seth, Trustee Sambandh Health Foundation said that tobacco use is estimated to cause nearly about 10% of all cardiovascular (CV) disease. Given the large burden of CV disease in India, the impact of this is huge. He added that while governments are budgeting large outlays for setting up healthcare facilities there should be greater focus on prevention strategies, chief among them being reduction of tobacco usage. New Delhi, 29 March, A delegation led by Member of Parliament from Siwan (Bihar) Shri Om Prakash appealed Honorable President of India Shri Ram Nath Kovind to save children and youth in the country from tobacco addiction and submitted a memorandum to launch a national level campaign for tobacco free education institutions. Member of Parliament Shri Om Prakash along with delegation met Shri Kovind at Rashtrapati Bhawan at Delhi on Wednesday. He told the Honorable President that tobacco consumption is a very serious problem. Children and youth know the ill-effects of consuming tobacco despite that they are consuming it. He said just running awareness programme to stop consuming tobacco is not sufficient, but this campaign has to be run at the national level. Along with, children and youth have to take oath in this campaign that they will not consume tobacco. Youth should be given the responsibility of this campaign then only it will prove relevant and will yield positive results. Shri Om Prakash said that Sambandh Health Foundation(SHF) and Voice of Tobacco Victim(VOTV) are working throughout the country to make educational institutions tobacco free, especially in Madhya Pradesh and Maharashtra the educational institutions have been made tobacco free and positive results are coming. 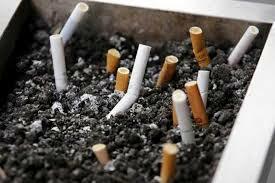 These days, the trend of consuming tobacco is increasing among youth, which is a matter of serious concern. It is very important and necessary for the public health that younger generation are saved from being ruined by using tobacco. Shri Sanjay Seth of Sambandh Health Foundation(SHF) said that 50% of cancer in the country is caused by tobacco and 90% of the oral cancer is also because of tobacco consumption. According to Global Adult Tobacco Survey (GATS-2) 2017 report 28.6% people in India use tobacco in some form. Every year 10 lakh people are dying due to tobacco related diseases, while everyday 5500 children throughout the country start consuming tobacco and become addict before attaining 18 years, which is really very worrying. 92% of youth agree that smoking is reason of serious diseases, while 96% youth population know that chewing tobacco causes serious diseases. Shri Seth said only 3% of the people consuming tobacco are able to quit this addiction, therefore it is very important that children are stopped from consuming tobacco for which educational institutions are to be made tobacco free. 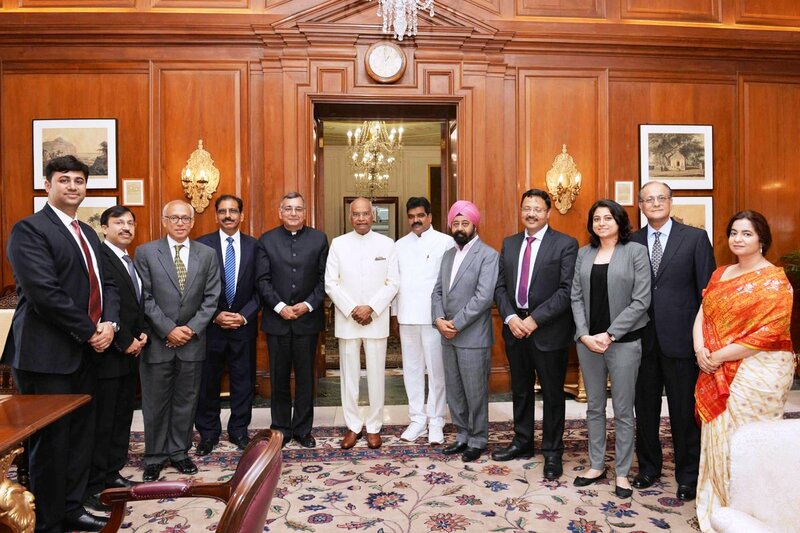 He told Honorable President of India Shri Kovind that it can be done by making educational institutions tobacco free by keeping watch through preventive rules and youth can be saved. The delegation apart from Shri Seth included Voice of Tobacco Victim director Ashima Sarin, Dr.Shiv Choudhary AIIMS, Dr.Mudit Agarwal, Vibhor Nizhawan, Pradeep Mathur, Deepak Cheeba, Arvind Mathur and others. Minister for Revenue Shri Umashankar Gupta inaugurated OPD services at Karunadham Ashram, Nehru Nagar, Bhopal. Neurologists of AIIMS and Hamidia Hospital will give free medical treatment to the patients on the last Sunday of the month from 10.00 to 12.00 noon in the OPD. This activity has been undertaken in cooperation of National Medicos Organisation and Bhartiya Vichaar Sansthan. 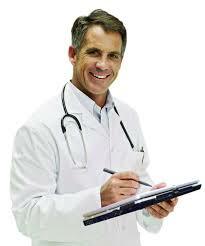 Dr. Raizada also gives homeopathy treatment to the patients from 10.00 a.m. to 12.00 noon daily. He informed that dental facility will be made shortly in the ashram. 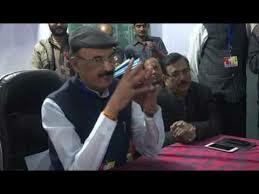 Chairman Mati Kala Board Shri Ramdayal Prajapati and other Social Activists were present on the occasion. Panchayat and Rural Development Minister Shri Gopal Bhargava has said that 'Mid-Day Meal Program' has become a boon in the drive conducted to tackle malnutrition in the state. Jaggery and peanut chikki is being provided to 11.50 lakh students in 25000 primary schools of 85 development blocks as additional nutritious diet. Similarly, every day, tasty meal is being given to more than 60 lakh children of 1.14 lakh primary and middle schools under Mid Day Meal programme. Minister Shri Bhargava informed that the system to provide cooked food to children in schools has been implemented in the year 2004, under Mid-Day Meal Program in the state. In the first phase, the scheme was introduced only for primary schools. The meal programme was launched for middle school students in the year 2008. He informed that 60.31 lakh children, out of 64.11 lakh registered in 1.14 lakh primary and middle schools in the state at present, are getting benefit under the scheme. Instructions have been issued to provide meal with maintaining transparency, regularity and quality control, by preparing meal in the schools through self help groups. Food grains are supplied directly to the groups from state level. Shri Bhargava said that the scheme has been incorporated for tackling malnutrition. Additional nutritious diet is provided to 11.50 lakh students in 25000 schools of 85 development blocks three days in a week. He informed that LPG connections have been given to 35416 schools by the state government, which are used for cooking meal. Shri Bhargava informed that clean kitchen awards of Rs 50,000, Rs 30,000 and Rs 20,000 are given for promoting hygiene in kitchen, nutrition in the food in every district. Managerial changes made in Hamidia Hospital administration. Essential managerial changes have been made in Hamidia Hospital to improve efficient management and working capacity. Under this several significant works have been started which includes arrangement of security and sanitation, posting of staff in wards and departments, CMO night patrolling system, nursing staff duty, duty roster display, installation of HMIS software etc. The security system of Hamidia Hospital has been entrusted with a central government agency which has greatly improved vehicular traffic in the hospital premises. Entry forms are being issued to attendants of patients admitted in various wards in the hospital which has helped reduce unnecessary crowd in the wards. Superintendents are personally conducting inspection of the hospital. Medical officers are available 24x7 in three shifts in the emergency department. 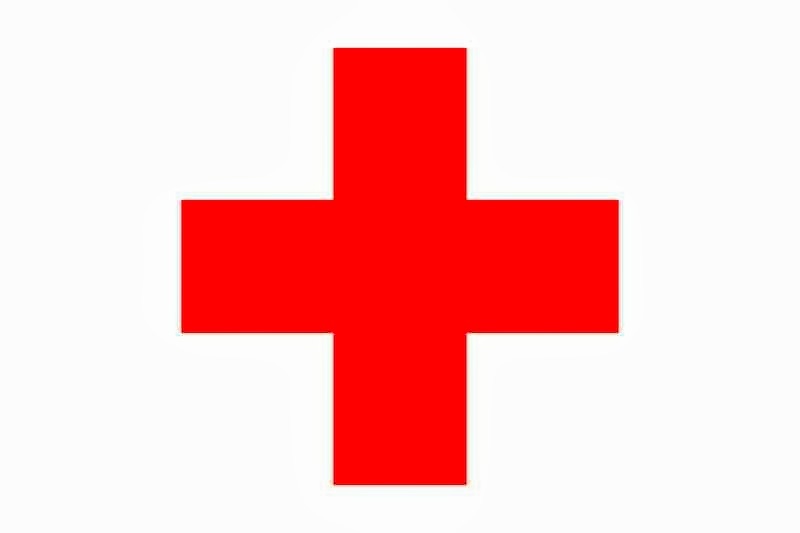 Nurses are being deployed on permanent duty under department heads. Duty roster of staff nurses and Class III and IV employees have been displayed in all wards at prominent spots. Due to manual work in the hospital earlier, there was difficulty in mutual adjustment which affected the work of the department. A hospital management system has been set up in the hospital. This helps in maintaining transparency in treating patients coming to the hospital. Medicines and other items available in the Kendriya Aushadhi Bhandar are being distributed online in all wards. Number of sanitation workers, security employees, ward boys and employees has been increased as per need in the hospital. For this a foolproof monitoring system has been made in which officers and supervisors have been posted in different levels. Along with this S.O.P.�s have been made in proportion to the work area with which various arrangements are being controlled. PR Minister Dr. Mishra Administers Pulse Polio Drops to Children. Minister for Public Relations, Water Resources and Parliamentary Affairs Dr. Narottam Mishra started Pulse Polio campaign from Rajghat Colony of Datia. He administered pulse polio drops to the children. Dr. Narottam Mishra also flagged off a motor cycle rally, organized with an objective to make the pulse polio campaign successful. Moreover, Dr. Mishra visited village Anandpur of Gram Panchayat � Agora of district Datia and unveiled Dr. Ambedkar�s statue. Boddha saint were also present on the occasion. He mentioned that Baba Sahab Bhimrao Ambedkar was a God like human being. Teerth sthals have been made by the Madhya Pradesh and Union Government in New Delhi, Mhow and London besides 5 other places in order to make the Baba Sahab�s memories everlasting. 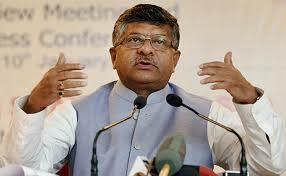 E-Hospital Facility in Datia: Union Minister Shri Prasad. 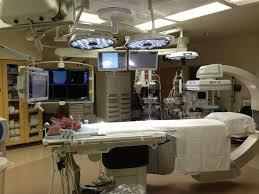 Neurosurgery to be carried out in J.P. Hospital now. 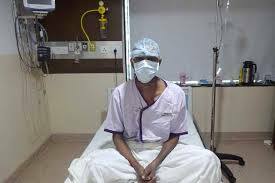 Neurosurgery services have been started in Jai Prakash hospital of Bhopal to facilitate patients suffering from brain disorder. The medical examination related to brain injury, brain tumor, brain hemorrhage, paralysis beside other diseases will be conducted and treatment will be given by the Neurosurgeon Dr. Yogesh Tiwari. He will examine the patients every Tuesday and Thursday in the OPD of the hospital and conduct the surgery every Monday and Wednesday. Children, who visit DEIC will be examined once a week. Free Neurosurgery of Children up to 18 years of age Chief Medical and Health Officer Dr. Sudhir Jesani informed that along with beginning of neurosurgery OPD in J.P. Hospital, neurosurgery of identified children up to 18 years of age, who are suffering from neural tube defect and other surgeries will also be carried out free of cost under the National Child Health Programme. After the approval, model costing amount will be provided to the civil surgeon in this connection. Similarly, the surgery of people living below the poverty line will be conducted free of cost under the State Illness Assistance Fund Package. Charges for surgery of patients living above the poverty line will be determined by the Patients Welfare Committee. Rs 60 crore released for purchase of modern equipment to six Medical Colleges. Total Rs 60 crore has been released to six medical colleges by the Medical Education Department for purchase of CT Scan, MRI and other diagnostic equipments including Gama camera, Colour Doppler etc. Commissioner Medical Education Shri Shiv Shekhar Shukla gave directions to the college deans to purchase and install the equipments within the next 3 to 6 months through Madhya Pradesh Public Health Services Corporation Limited and Government of India undertakings GEM and HLL and ensure diagnostic facilities. 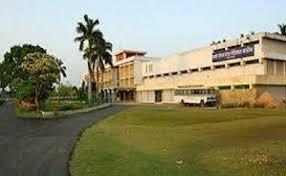 The amount allotted by the Medical Education Department includes Rs 29.2 crore to Bhopal Medical College, Rs 11.73 crore to Indore, Rs 5.3 crore to Jabalpur, Rs 5.6 crore to Gwalior, Rs 3.9 crore to Rewa and Rs 4 crore to Sagar Medical College. This important step will solve the problem of unavailability of equipments and essential tests in hospitals affiliated to medical colleges. Karnataka High Court Reverses Government�s World-leading Attempt of 85% Pictorial Warnings on Tobacco Products. New Delhi, 03 Jan,2018 : Karnataka High Court in a recent order dated 15th December 2017 quashed the Cigarettes and Other Tobacco Products (Packaging and Labeling) Amendment Rules, 2014. The 85% pictorial warnings notification was issued on 15th October 2014 and after a long struggle these were implemented on April 1, 2016. 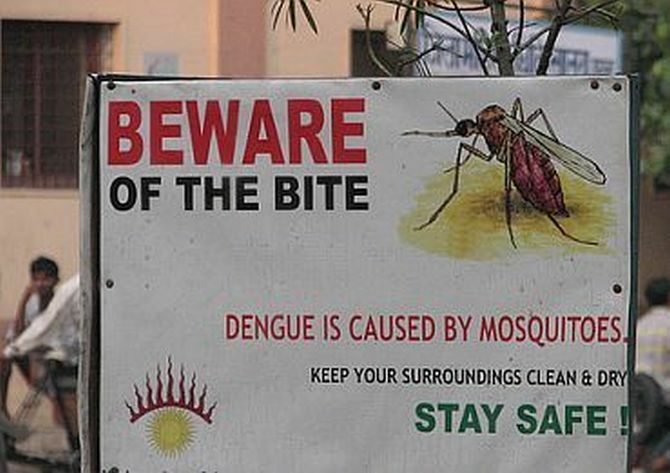 India rose to 3rd position in global ranking in pictorial warnings from 136th. 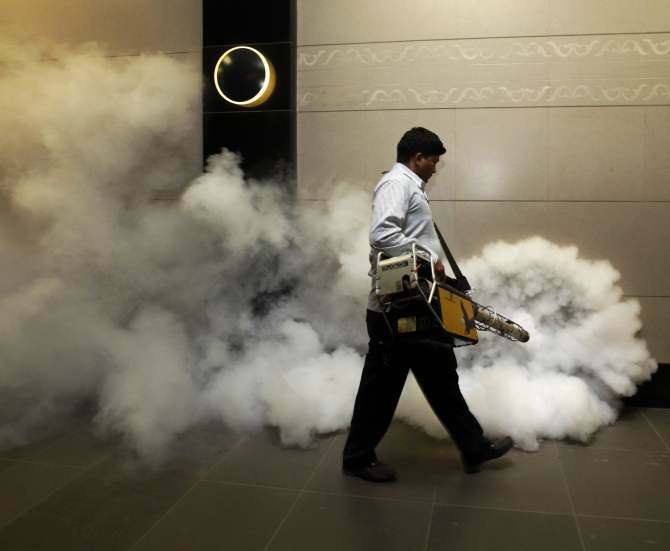 India was awarded by the World Health Organization for this decision. Also, it was internationally applauded by many countries of the world. In the Karnataka HC judgment one of the judges, Justice Nagarathna, stated that it is unnecessary to have pictorial and textual warnings suggestive of cancer particularly when the contents of the said warnings are not universally accepted as medically proven. Aishwariya Bhati, Supreme Court lawyer, said, National Institute of Health & Family Welfare report on health consequences of tobacco use was submitted in the Supreme Court in February 2011 which clearly establishes link between tobacco use and cancer. She further added that the Honble Supreme Court Murli Deora V/s Union of India (2001) accepted that smoking causes lung cancer and other diseases. In another judgment by the Honble Supreme Court in Health for Million Vs Union of India and Others in 2013 held that consumption of these products will result in rapid increase in the number of cancer patients. Ms Bhatti stated that In fact the statement of objects and reasons of COTPA itself establishes beyond doubt that tobacco causes death, disability and huge financial losses to the Nation. So the Parliament made the law because of the proven link between tobacco and disease. Dharamveer Katewa of Indian Asthma care society the Government must strongly defend its decision of implementing the 85 pictorial warnings on tobacco products taken in 2016. It was a landmark decision to protect health of our youth. Shri J P Nadda, Union Minister of Health and Family Welfare stated at the opening of the Seventh Session of the Conference of the Parties to the WHO Framework Convention on Tobacco Control, We are committed to strengthening non-communicable disease programmes and interventions and implementation of the WHO Framework Convention for Tobacco Control (FCTC) as an integral part of the post 2015 Sustainable Development Goals. Prime Minister Shri Narendra Modi has said (on Twitter), On World No Tobacco Day, let us pledge to spread awareness on the risks of tobacco consumption and work to reduce tobacco consumption in India. Tobacco not only affects those consuming it but also people around. By saying no to tobacco, let us lay the foundation of a healthier India. Van Mela plays significant role in attraction towards Ayurveda. Narmada Trauma Centre Gets Bhopal's first NABH Certification and NABH Nursing Excellence Certification. Narmada Trauma Centre was established in the year 2006 with the Mission to provide quality Trauma Care and other Critical Healthcare Services. 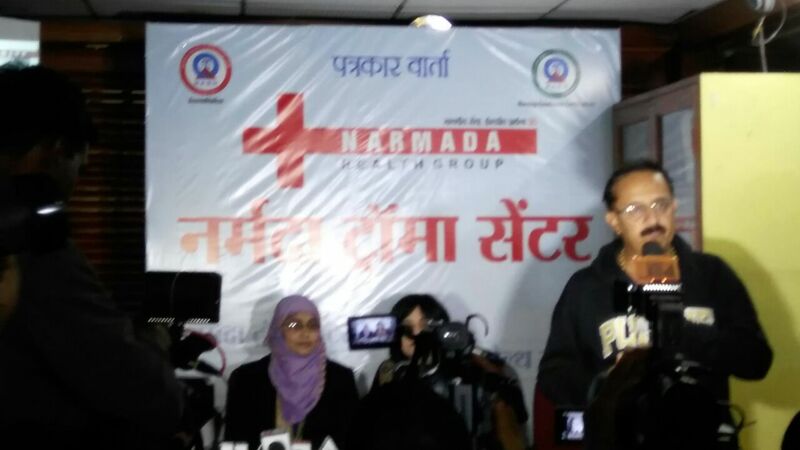 "With the NABH Certification now Bhopal would have better Healthcare and Nursing care at the Narmada Trauma Centre"said Dr Rajesh Sharma and Dr Renu Sharma while talking to MetroMirror. He also said that those who are Accredited but donot follow the NABH procedure and Systems, the Certification could be cancelled. About NABH: NABH is the part of Quality Council of India.NABH has prepared the various Quality Standards and procedures to be followed by the Hospitals and Nursing Care Centres totalling to 650.These Standards are to be followed right from the Admission to discharge of the Patient. Also at the roadside accidents procedures are followed while transferring Patient to the Strecher. At least 415 combat teams have been constituted at district and development block level for prevention and treatment of water-borne diseases including diarrhea, gastroenteritis, cholera etc. in the state. Health Department is keeping strict vigilance on marked problem-oriented villages and towns. 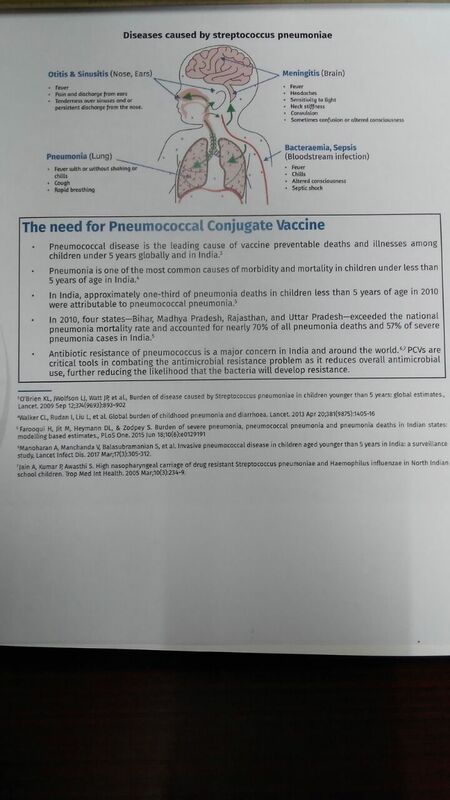 This information was given today by the Health Department during daily review of contagious diseases. People were told to inform immediately about the spread of any water-borne diseases in their areas on landline no. 0755-4094192 and call centre no. 8989988712. Public Health and Family Welfare Minister Shri Rustum Singh told that the possibility of spread of water-borne diseases increases every year first due to shortage of water at the end of summer season and beginning of rainy season and then due to polluted water following rains. Sufficient quantity of bleaching powder, ORS, chlorine, chloroquine, paracetamol, metrodinazole etc., has been made available at the Arogya Kendra and Depot Holder in every village in the state. Efforts are being made to control spread of contagious diseases through sectors in charge, multi-purpose workers and ASHA. ASHA informs concerned development block medical officer promptly about occurrence of any case of disease in the village so that immediate steps can be taken to control it. Shri Singh has appealed to take the following precautionary steps to save people from water-borne diseases. Always use clean �clear water for consumption. Wash hands thoroughly with soap and clean water after using the toilet. Consume freshly cooked food and edible items. Always keep food and edible items covered so that it does not get contaminated with flies, dust etc. If water seems polluted, it should be boiled and filtered with a clean cloth. Put chlorine tablets in water and use it after one hour. 11 swine flu patients under treatment During the daily review of swine flu, dengue, chikungunia and other contagious diseases by the Health Department it was told that 95 samples of swine flu were sent between July 1 and August 8 out of which 91 reports have been received. Out of these reports 17 tested positive and 4 sample reports are awaited. At present 3 patients are undergoing treatment in government hospitals and 8 patients in private hospitals. Similarly 42 dengue patients were found in 14 districts during the same period. 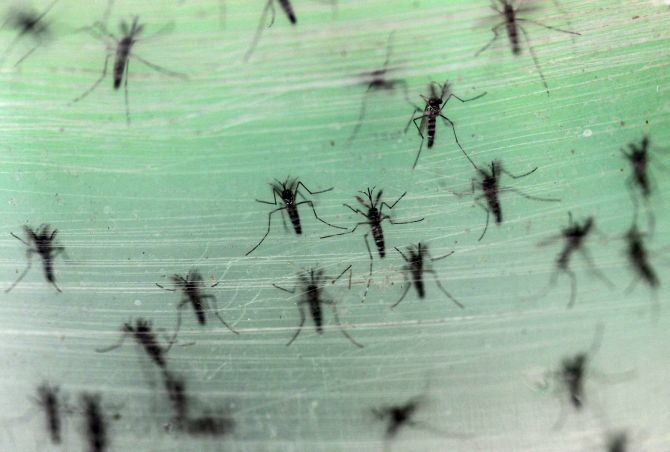 On August 8, 28 samples were sent to 4 laboratories out of which two were tested dengue-positive. During this period 14 suspected patients of chikungunia were found but their reports were negative. One swine flu patient has been reported dead in the state. While Yoga has always captured the public imagination, the last three years have seen a sea-change in public awareness of Yoga. The announcement of International Day of Yoga on June 21st by the United Nations in response to the appeal by Prime Minister of India Shri Narendra Modi which was spontaneously appreciated and sponsored by 187 countries has promoted Yoga as a way of life to millions of people across the world. With this, India has shared an ancient practice which has now been adopted by almost all countries in the world cutting across cultural, religious, national, and language barriers, thus reinforcing the basic message of Bharat, which is Unity in Diversity. The International Day of Yoga (IDY) bringing millions of people across the world together in an unprecedented scale has started bringing love, peace, and harmony in the world. In the West, Yoga has been considered essentially as a physical practice to improve flexibility and strength. But, the very word Yoga means Joining which brings about the union of mind, body and soul to reach higher states of consciousness. With the recent advances in quantum physics, including the discovery of the so-called God Particle science has started to realise its limitations and begun to see beyond the traditional reductionist framework. Jnana Yoga gives direction to Science to go beyond the physical to recognize five layers of human dimensions. India has a long tradition of scientific thinking in Vedas known to be the primodial source for all the knowledge base and Yoga having its origin in Vedas has been no exception. The four streams of Yoga Janana, Bhakti, Raja and Karma yogas work at intellectual, emotional, will power and action levels brings toal personality development and has a message for all as Swami Kuvalayananda said decades back and pioneered the scientific research in Yoga way back in 1940s. In a study conducted on Yogi Satyamurthy, published in 1973, it was noted that he was voluntarily able to stop the electrical activity of the heart for upto 9 hours and then revive him spontaneously back to normal. In other study, practitioners of a Buddhist Meditation technique (Benson et al., 1982) were able to increase their body temperature by over 15 degree Celsius. Maharishi Mahesh Yogis contribution to research brought the dimension of Relaxation response by TM (Transcendental Meditation) all over the world. Yoga as an add on to modern medicine to deal NCDs as Diabetes, Cancer, Heart problems, etc has shown very promising results with the mechanisms being understood using tools of genetics, brain changes, psychology, and physiological pathways. Such research is being spearheaded by S-VYASA Yoga University in Bangalore, which is now the only full fledged University in the world dedicated to yogic research. Thanks to our Prime Minister, it has not just been restricted to a single day celebration, but has been incorporated into our educational system by NCTE, NCERT by bringing yoga as a compulsory subject in Primary, secondary and higher secondary levels. UGC also did not stay behind and has brought yoga in higher education system to create persons to teach research and bring the benefits to one and all. 26 May. 2017,BHOPAL : The capital of Uttar Pradesh, Lucknow, will host the main mega event of this year�s International Day of Yoga on 21st June and the event will be led by the Prime Minister, Shri Narendra Modi. This was formally announced by the Minister of State (Independent Charge) for AYUSH, Shri Shripad Yesso Naik at a media briefing in New Delhi today. Addressing the media persons, the AYUSH Minister said, Ministers of the Government of India, Chief Minister of Uttar Pradesh and several Yoga Gurus are also expected to take part in the event at Lucknow. The venue for IDY-2017 is Ramabhai Ambedkar Sabha Sthal in Lucknow and nearly 51,000 people are expected to demosntrate Common Yoga Protocol along with the dignitaries in this event. 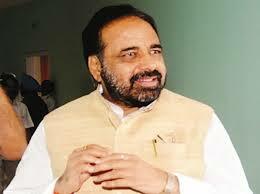 Shri Naik informed that besides the main event in Lucknow, Delhi will also hold events in seven places . These events are being planned in association with NDMC, DDA and different Yoga Organisations. The locations of these events include Cannaught Place(NDMC), Nehru Park(NDMC), Lodhi Garden(NDMC), Talkatora Garden(NDMC), Dwarka(DDA), Rohini(DDA) and Khureji(DDA), he added. Shri Naik also said that besides this, the leading Yoga Organisations are planning several other programmes on the occasion of IDY � 2017 in Delhi as well as other parts of the country and also outside the country. Shri Shripad Yesso Naik further explained that all the Central Government Ministries, Departments, their subordinate organisations are planning to celebrate the Yoga day in a grand manner. Similarly, the State Governments have also planned several programmes for the IDY-2017 . Besides these, NCC, NSS, Nehru Yuva Kendras, major Educational Institutes, Defence Forces, Para Military Forces, Corporates, Business groups have also been roped in for the celebration of Yoga Day in their own way. The AYUSH Minister also said that the Central Council for Research In Yoga & Naturopathy (CCRYN) is conducting One Month free Yoga camp in almost all the districts of the country through Govt. and Private Organisations. He said that the training programme has already started from 21st May, 2017. Giving further details, Shri Naik said that Ministry of AYUSH is planing to have a few Yoga Parks across the country, specially meant for Yoga activities throughout the year, which will be managed voluntarily by the Yoga or other organisations. He said that it is expected that nearly 100 such Yoga parks will come up within this year, which will be further expanded subsequently. In his welcome address, Secretary , Health and Family Welfare and AYUSH, Shri C.K Mishra said that a sustainable Yoga atmosphere should be created throughout the year by organising Yoga activities even after the International Day of Yoga is over. The Yoga institutuions/organisations in and around Lucknow will be actively involved in the main event this year, he added. To make the celebration of International Day of Yoga a continuous process, Ministry of AYUSH had organised few Yoga Fests in the state capitals of the country and is expected to organise few more such Yoga fests in the days to come. Ministry of AYUSH has also requested Ministry of External Affairs to organise such Yoga Fests in the Indian Missions abroad. 10 Sept. 2016,BHOPAL : For people still struggling to make time for exercise, a new study offers a strong incentive: You�ll save $2,500, or Rs 1,66,000, a year. The savings, a result of reduced medical costs, don�t require much effort to accrue � just 30 minutes of walking five days a week is enough. The findings come from an analysis of 26,239 men and women, published in the Journal of the American Heart Association. Researchers decided to see if they could determine what being active or inactive costs each of us annually in healthcare spending. 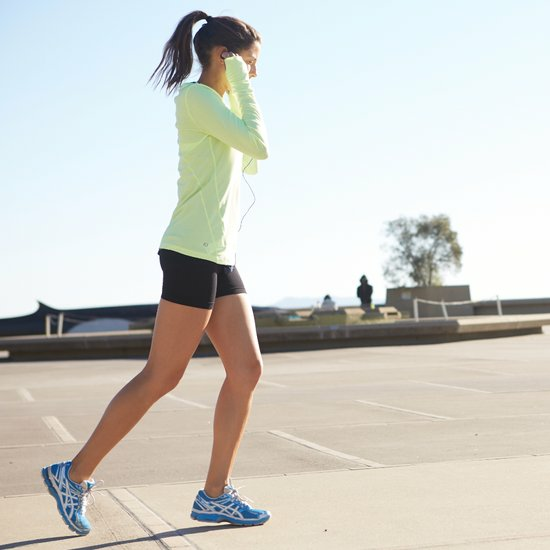 A study published in the Lancet in July put the costs of inactivity to the world economy at almost $68 billion annually. For the new study, researchers stratified people into two broad groups: those who did or did not meet national exercise guidelines, which recommend that someone work out moderately for 30 minutes five times a week. It turned out that, on average, someone who met the exercise guidelines paid $2,500 less in annual healthcare expenses related to heart disease than someone who did not meet the norms. Bhopal, 13th Aug. 2015� Women and Child Development Minister Smt. Maya Singh has said that a campaign will launched in every village to make girls� aware about health and hygiene. Smt. Singh was inaugurating Project Udita and newly constructed Anganwadi building at Budhni tahasil in Sehore district today. The Minister said that under leadership of Chief Minister Shri Shivraj Singh Chouhan, a number of important schemes have been launched for all-round development of women, girls and children which has attained national recognition. In the series, Project Udita was launched to make girls aware about health and hygiene. It was dedicated by the Chief Minister at Mahila Panchayat. She directed Anganwadi and health workers to make adolescent girls aware of use of sanitary napkins through the project. She gave sanitation-related information. She said that participation of society is necessary to end malnutrition among children, women and girls. Smt. Singh informed that under Project Udita, automatic vending machines have been installed at 208 places and 240 more machines will be installed soon. Principal Secretary Women and Child Shri J.N. Kansotiya said that Project Udita is a good beginning whose far-reaching impacts will be seen in society. Commissioner Integrated Child Development Scheme Smt. Pushplata Singh said that use of filthy clothes during menses affect reproductive health. She informed that according to a survey, 23 adolescent girls stop going to school after first menses, only 12 percent use sanitary napkins and 10 percent girls are taken ill due to use of filthy clothes during menses. She informed that Project Udita has been launched as pilot project at Gwalior, Indore, Jhabua, Narsingarh, Murar, Mhow, Burhanpur and Budhni on Kishori Diwas on every fourth Tuesday, Anganwadi workers will solve adolescent girls� problems and remove their apprehensions. Through vending machine at Anganwadi, a set of napkins (3 napkins) can be obtained for Rs.10. local women�s self-help groups will be trained to produce good quality sanitary napkins. Smt. Maya Singh presented vending machine to Principal of Girls Higher Secondary School for use in school. She flagged off Project Udita publicity van, distributed certificates to beneficiaries of Ladli Laxmi Yojana and planted a sapling at Anganwadi centre. 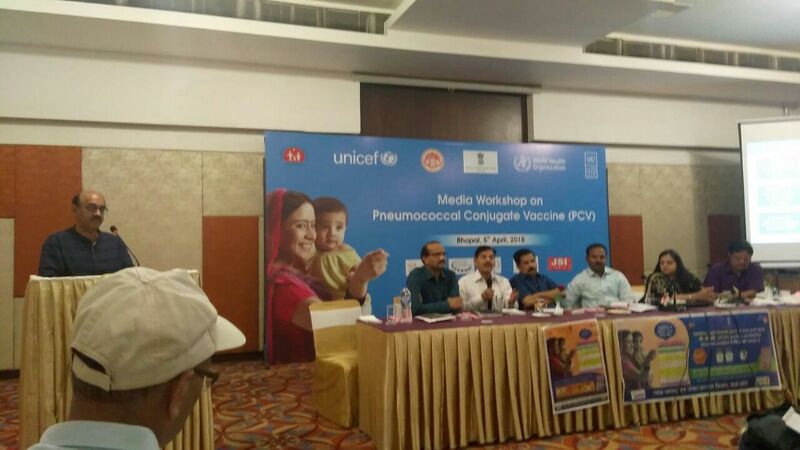 Health Minister Dr. Narottam Mishra has urged to ensure success of programme for vaccination to prevent small pox, tetanus, polio, TB, chronic cough, hepatitis-B and hemophilic influenza in 15 districts of Madhya Pradesh. 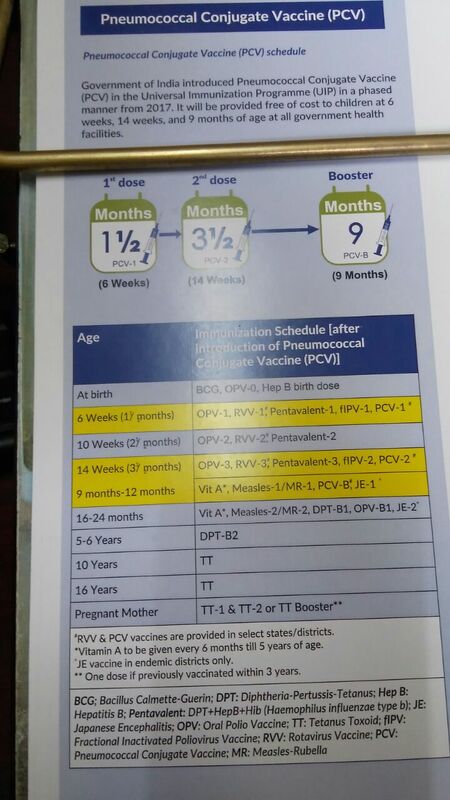 Under Mission Indradhanush, complete vaccination of all children will be ensured. Mission�s activities will be held in the state in 4 phases of one week each in next 4 months. The Minister hoped that the campaign will evoke encouraging results through joint efforts of health workers, voluntary organisations and people to ensure success of Mission�s activities. The state government has released a list of private hospitals identified for swine flutreatment. Along with government hospitals, these private hospitals will also cooperate incontrol of the disease. 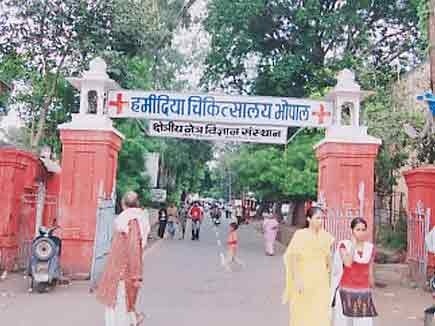 As many as 13 private hospitals have been identified for treatment of swine flu atBhopal including Rainbow, National, Chirayu, B.M.H.R.C., Paliwal, P.C.M.S., ChirayuMedical College, LBS, People�s High-tech, Narmada, J.K., Bansal and Miracle. Private hospitals identified at Indore include Arabindo (SAMS), Bombay Hospital,CHL, Vishesh, Rajshri (Apollo), Bhandari, Arihant, Gokuldas, Index, Life Care, GlobalSNG, Suyash, Cloth Market, Arpan, Mayur and Choithram hospitals. The status of H1N1 influenza being reported from different states was reviewed today at a high level meeting chaired by the Secretary (Health & Family Welfare) Shri B P Sharma where in addition to the Director General, Health Services (DGHS) Dr. Jagdish Prasad, representatives of leading government hospitals such as Dr. Ram ManoharLohia Hospital, Safdurjung, AIIMS, and from Indian Council of Medical Research (ICMR) and National Center for Disease Control (NCDC) were also present. It was noted that that during the period 1 Jan 2015-10 February 2015, the total number of H1N1 cases is 5157 and number of deaths is 407. Largely the cases are from Delhi, Gujarat, Rajasthan, Karnataka, Madhya Pradesh, Maharashtra, Tamil Nadu and Telangana whereaslargely the deaths due to H1N1 are in Maharashtra, Madhya Pradesh, Gujarat, Rajasthan and Telangana. The current trends of morbidity and mortality, the diagnostic and test algorithms being followed, availability of diagnostic kits and drugs, and other preventive measures were discussed. Based on the advice given by experts it was decided that various health institutions treating H1N1 cases be advised for vaccination against H1N1 influenza for the concerned health workers in the hospitals in contact with H1N1 patients. This will be in addition to the proper personal protective measures being followed at the hospitals. Guidelines are being drafted for vaccination of healthcare workers and thesewill be shared with the states for dissemination to all health institutions. The Government of India has already placed an order for enhancing stock of diagnostic kits to be supplied to the lab network under Integrated Disease Surveillance Programme (IDSP)being used for testing H1N1 influenza. To enhance the level of preparedness, additional 60,000 Oseltamivirmedicines and 10,000 N-95 masks are being procured. In addition, NCDC has floated a tender for additional 10,000 diagnostic kits. In case of need, labs under ICMR have been identified across the country to provide additional testing facilities.In order to prevent panic and inconvenience to people, and to encourage only those cases requiring H1N1 testing are actually taken up for testing, it was decided that the communication strategy should create awareness among the general public regarding this aspect.